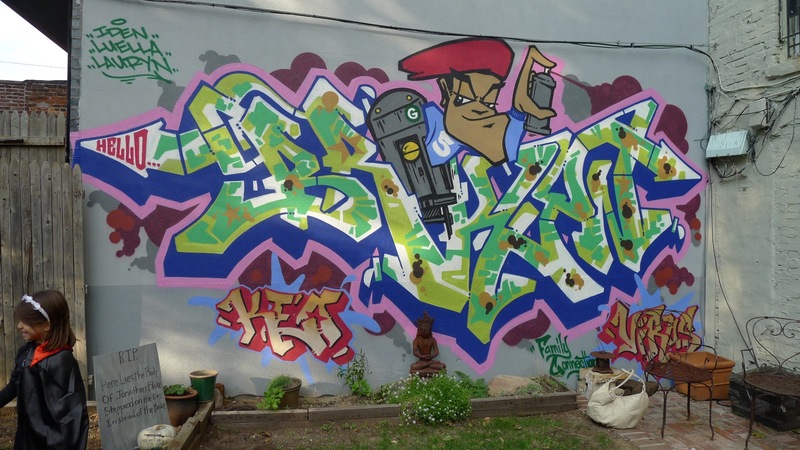 Cool backyard mural by Keo at a birthday party my daughter went to. He's the younger brother of Jonathan Lethem. Crazy.